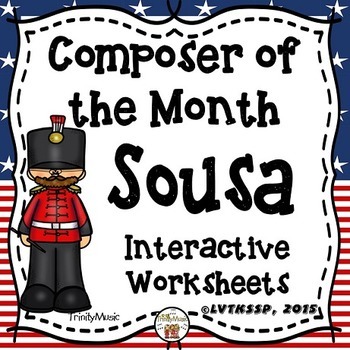 This Composer of the Month (John Philip Sousa) interactive packet contains different interactive (but quick) pop-up and 2-D writing worksheets as well as flip-style worksheets and stagger "books." 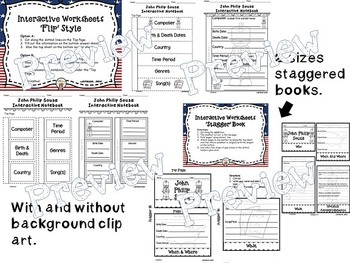 Six versions of writing lines are included for the pop-up and 2-D interactive worksheets. This is designed for the varying age levels you may teach. For instance a first grader may only be able to complete one sentence while a third grader can write a paragraph. 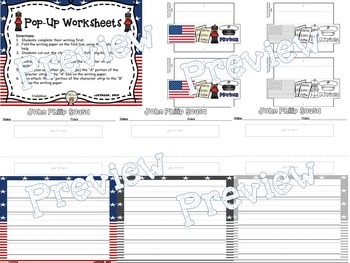 The pop-up book-style worksheet looks great when displayed on bookshelves, cabinets, etc and can be displayed in your room or in the school (or your local public) library. 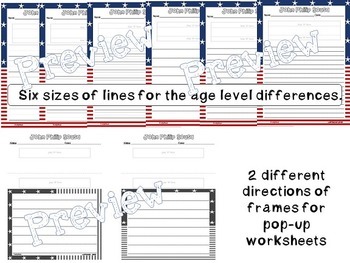 The 2-D interactive worksheets really "pop"when hung on your classroom or hallway walls.